"Hello Chris and Susie, Thank you so much for the wonderful stay we had this past weekend. Everything was great. The special touches..."
"Thank you for the Birthday "Cake". Very thoughtful and delicious. Thank you for the late check-out. Please tell the owners we enjoyed t..."
"We had a wonderful stay. Place was clean and beautiful. Staff at Vacation Rental Office were friendly and made us feel at home. Thank Y..."
"Staff and Customer service were amazing! The house was clean with the exception of a few unwelcome eight legged friends, the location a..."
"House was clean when we arrived, had a ping pong table and a jacuzzi, Services and Staff were good. Thank you we had a lovely stay!" "It was wonderful. We had a wonderful time! Hope to be back soon. Thanks." "House was Clean, services and staff were awesome. Chris went above and beyond helping us with some car trouble. 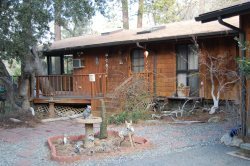 We will recommend this ..."
"My family and I had a relaxing weekend stay at the Beaver Lodge in Idyllwild!" "Great place and location. Only off-putting aspect was the need to check in/out with a rental agency, sign another contract"
"Cute place, my family enjoyed our entire stay, will definitely book again." "Great place for rest and relaxation. Very close to town. Heating was on point and jacuzzi readily warm. I recommend staying here. Would..."
"Really nice place with plenty of room for my family to spread out. Amazing sunset views. A perfect rustic mountain retreat. We really l..."
"Lovely, cozy cabin nestled down a long path into the woods!" "This log cabin home is set by beautiful Idyllwild on a hill with a nice view. Decorations and furniture were eclectic with a nice South..."
"We loved staying at Soft Rock Lodge! The location was perfect - convenient to town and trails. The driveway is very steep, so if there'..."
"The Beaver Lodge was perfect! This was our first time to Idyllwild and I can�t wait to go back! The cabin was very spacious and cozy an..."
"The fireplace was perfect for our evening while we enjoyed a movie from their vast collection of DVDs. We had quite a few issues come u..."
"Great, spacious, beautiful decorated, clean, warm, and comfortable cabin in the woods that instantly felt like home. 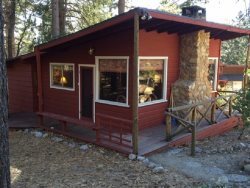 Thank you so much ..."
"This place was just what we needed - a cabin that felt away from it all, but was walking distance to the village center of Idyllwild as..."
"We really enjoyed our stay at this cabin! It was very cute and the location was great. It�s up on a hillside nestled amongst some trees..."
We have the perfect vacation home for YOU! At Idyllwild Vacation Rentals you will find friendly staff, convenient location, friendly service and New ideas, New expanded services and New smiles. From cozy cabins to luxurious mountain homes, Idyllwild Vacation Rentals features the finest in vacation properties. Visit our office and discuss your vacation plans with our reservation counselors or click on �Vacation Rentals� to be transferred to the homes site complete with expanded photo display for each Idyllwild property. It�s an easy way to choose just the right setting or the romantic weekend, family reunion, wedding and/or reception, group activity or holiday celebration. 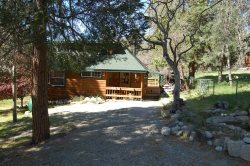 All of our Idyllwild California vacation homes in our portfolio are fully equipped and our staff is ready to welcome you and assist you in providing for your every need.